The Defense Department on Friday identified the soldier killed during a commando raid in Iraq. Master Sgt. 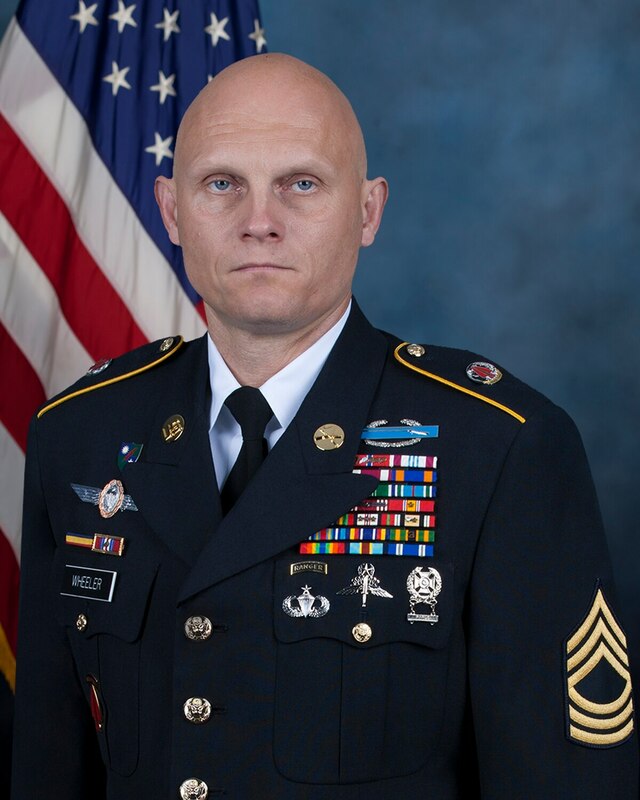 Joshua L. Wheeler, 39, died Thursday in Iraq's Kirkuk province from wounds received by enemy small-arms fire, according to the DoD announcement. Wheeler, who joined the Army in 1995, was assigned to Headquarters, U.S. Army Special Operations Command at Fort Bragg, North Carolina. He is the first American service member killed in action by enemy fire while fighting Islamic State militants. Wheeler, who was from Roland, Oklahoma, joined the Army as an infantryman. He served in the 75th Ranger Regiment, deploying three times to support combat operations in Iraq and Afghanistan, before being assigned to USASOC headquarters. He deployed 11 times after that to Iraq and Afghanistan, according to information released by USASOC. Wheeler died from enemy gunfire near Hawijah, Iraq. He was part of a team of dozens of U.S. special operations troops who joined Kurdish peshmerga fighters in a predawn raid of a detention facility run by the Islamic State group. The U.S. and Kurdish forces killed several Islamic State militants and detained five others, defense officials have said. In addition to Wheeler, four peshmerga soldiers were wounded. The raid freed about 70 hostages whose lives officials said were in imminent danger.